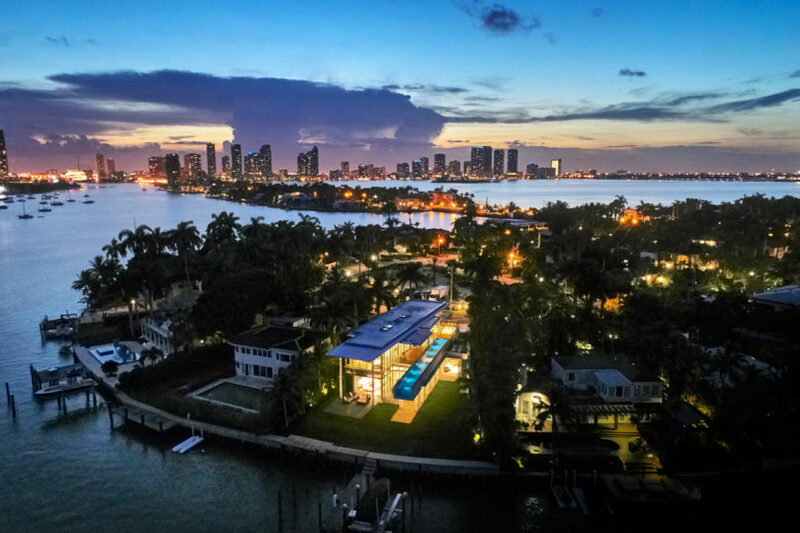 Bohlin Cywinski Jackson designed the San Marino Residence on Miami’s Biscayne Bay for clients that own a California winery. 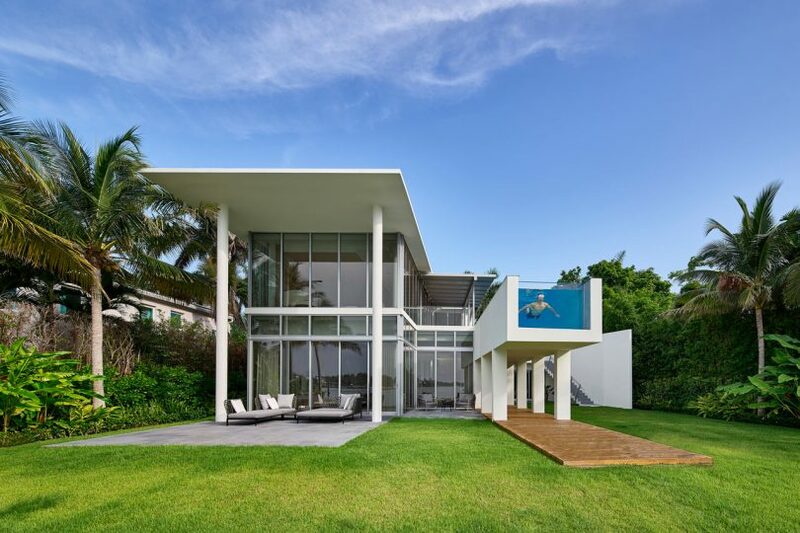 They requested a lush tropical environment to enhance their indoor/outdoor living right on the water. 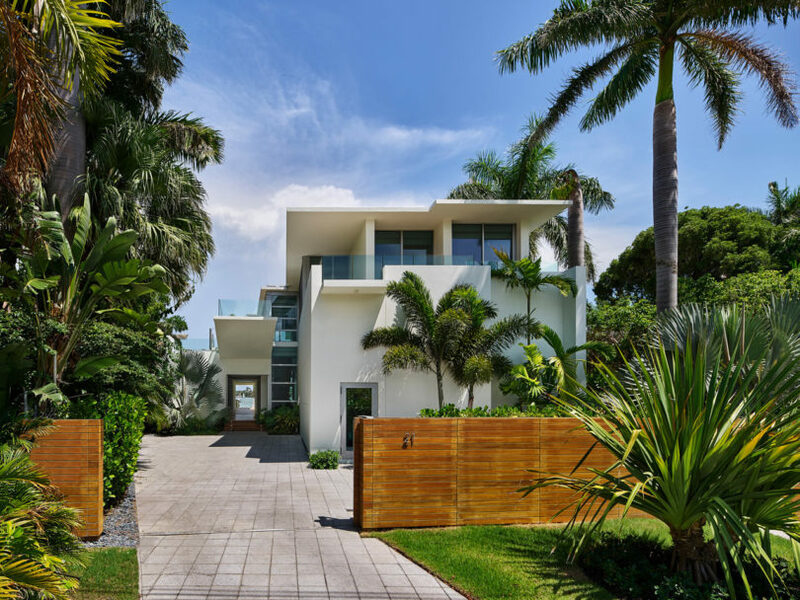 The home was designed to work on the narrow, wedge-shaped lot with the design spreading and opening up towards the water. 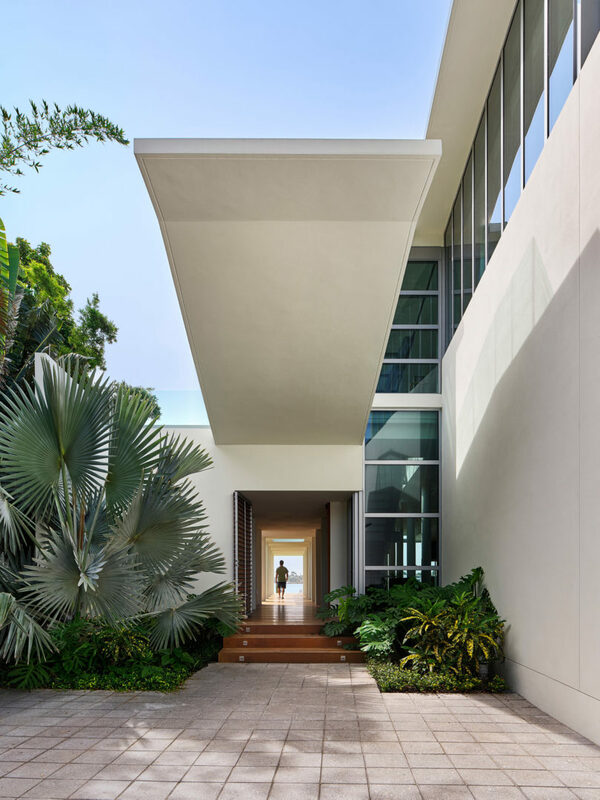 The house comprises three linear elements: a two-story volume that houses the main living spaces, a one-story wing that operates as a guest space and office, and the elevated lap pool that reaches out into the backyard. 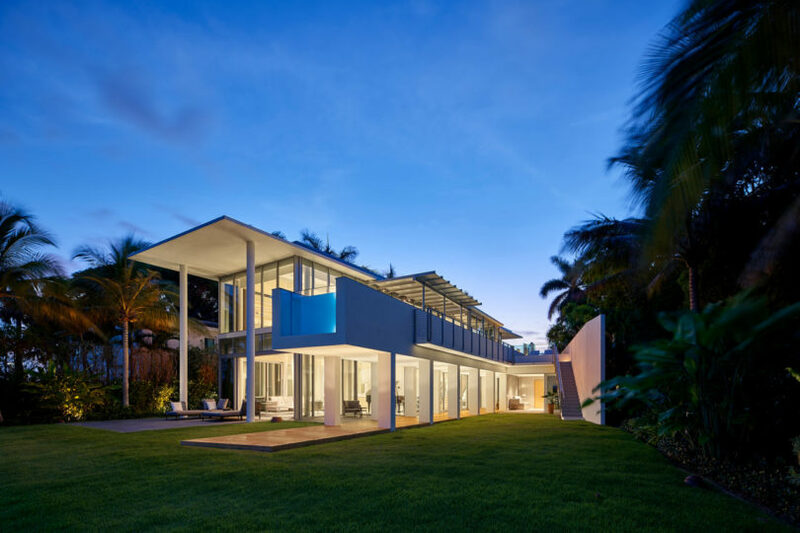 The pool cantilevers a dramatic 18 feet stretched out above the home’s entry and main walkway. 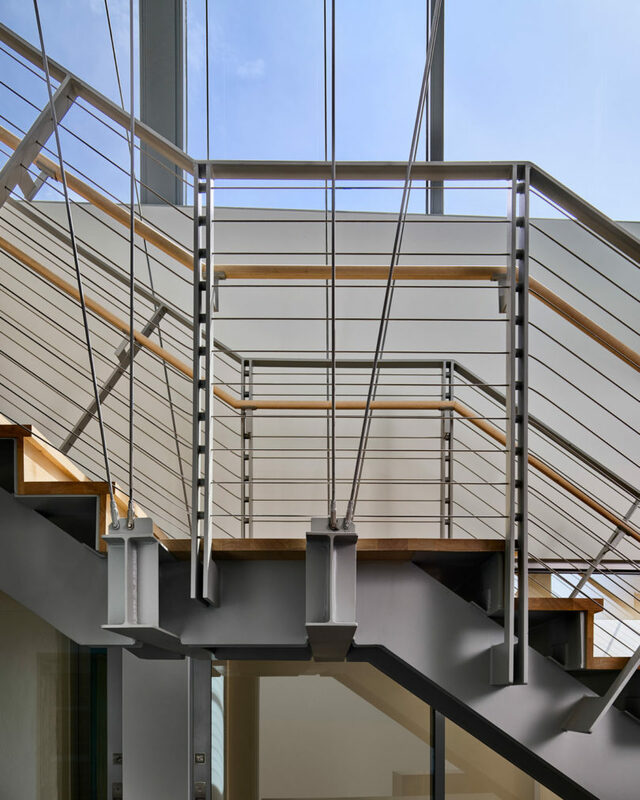 A large expanse of windows allows daylight onto the staircase that connects the sleeping level to the living level below. 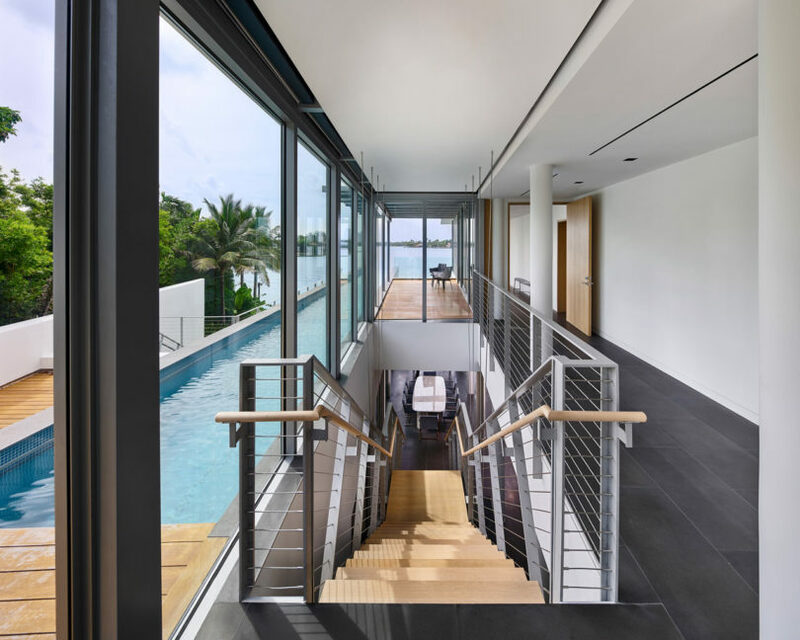 The main structure, which houses the living and sleeping areas, keeps cool with floor-to-ceiling glass doors that open up to let the ocean breezes pass through. Large roof overhangs help keep direct sunlight to a minimum so it doesn’t get too hot.